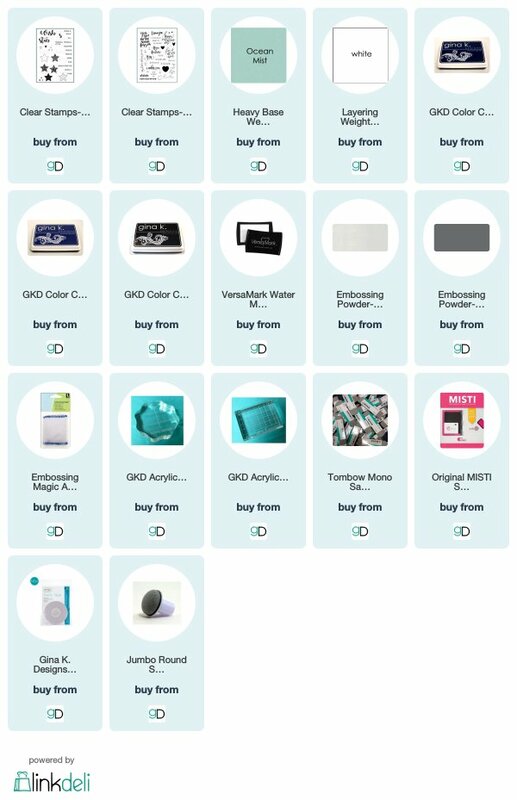 Hello everyone and welcome back to Day 2 of the Gina K Designs Blog Hop. 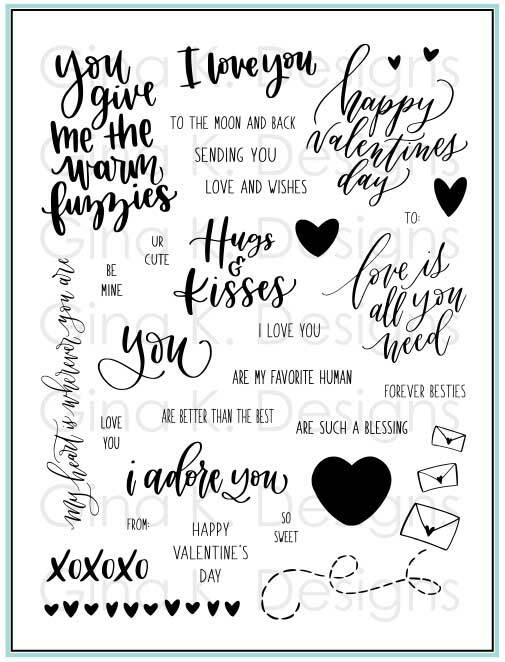 We are showcasing the January 2019 release and today focusing on the All Star, Love Is All You Need and Lovely Words Incentive. Be sure to leave some love along the way for the design team. There is a $50 gift certificate up for grabs EACH day! The winner will be announced on Friday on the Gina K Designs blog. 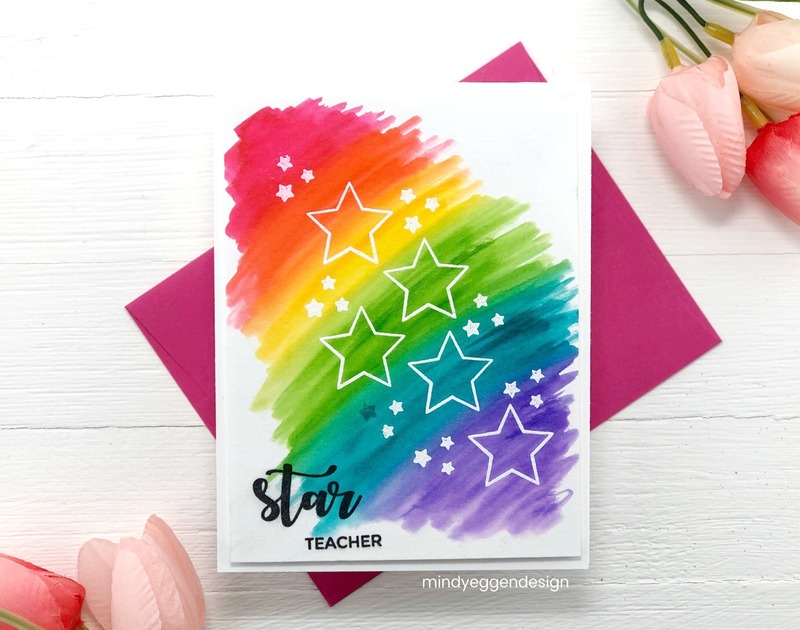 I have a quick video to share showing how I created my rainbow card featuring the All Star stamp set. When I say quick, I mean quick lol. It’s sped up to some fun music. Unfortunately, I didn’t have a quiet moment to voice over the video but hopefully you can still get the jist of the process. The All Star stamp set is such a perfect set. I adore all the different ways to tell someone how awesome they are. I’m going to start off my card but taking a piece of Bristol Smooth card stock measuring 4″ x 5 1/4″ and prepping the entire things with an anti static powder tool. Then I’m taking the outline star stamp and solid mini stars and adding them to clear blocks. I’ll ink them up with Versamark ink and stamp onto my card stock. I like to sprinkle with the white embossing powder after a few times stamping so I can see where I have already stamped. Then, I’ll emboss with my heat gun. Next, I’m digging out my Zig Clean Color Real Brush markers in Carmike Red (#22), Scarlet Red (#23), Yellow (#50), Light Green (#41), Persian Green (#33) and Violet (#80). I’m just going to start at the top and scribble color on all the way down creating my rainbow. This does not have to perfect coverage. Then, I take a water brush and go over those areas. I’ll drag one color into the next just a little for a seamless blend. Every now and then I swipe my water brush onto scrap card stock to clean off the brush. The red is pretty intense and I didn’t want to drag it through the whole card. I speed up the drying process with a gun heat but don’t overheat the embossing powder. Next, using my Misti tool and Black Onyx ink I stamp my sentiment in the bottom corner. I finish off the card by attaching craft foam to the back with Terrific Tape and then adhering to an A2 size white card base. Easy peasy lemon squeezy. My next card is also using the All Star stamp set. This time I’m starting off with a 4″ x 5 1/4″ piece of Ocean Mist card stock. 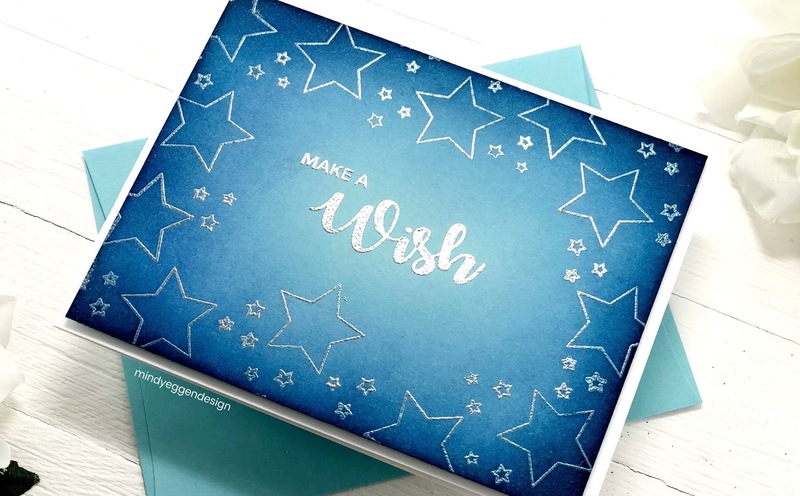 I’ll prep my background with an anti static powder tool and then using acrylic blocks and Versamark ink, stamp my stars around the outer edge of the card. I’ll sprinkle with Silver Embossing Powder and melt with my embossing gun. I’ll also go ahead and stamp the sentiment in the middle and heat emboss that with Silver as well. Next, I’m going to ink blend my outer edges. I want to keep it dark on the edges and light in the middle of the card. I start with my lightest color which is Blue Denim, making sure to lighten my pressure as I get towards the middle. Then I come in with In The Navy around the edges. You can use a paper towel or cloth to white the ink away from the embossed ares to leave bright silver stars! I attach craft foam to the back of the ink blended panel using Terrific Tape and then attach to a white A2 size card base. I hope you enjoyed today’s inspiration on the All Star stamp set. Here’s a look at the other stamp sets being showcased today. 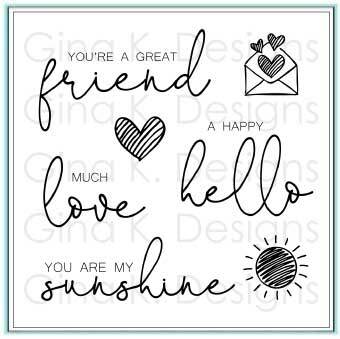 Get this great incentive stamp set Lovely Words when you spend $75 or more! Now it’s time to hop for more inspiration! The rainbow background is sure to brighten anyones day….it sure did mine seeing. Both cards are amazing. Love the rainbow background. Stunning! Your cards can't help but bring smile to your face. Love them both! Thank you for sharing! Your rainbow card is a terrific example that fabulous cards don’t have to take all day to make! Really love your work! Wonderful cards! 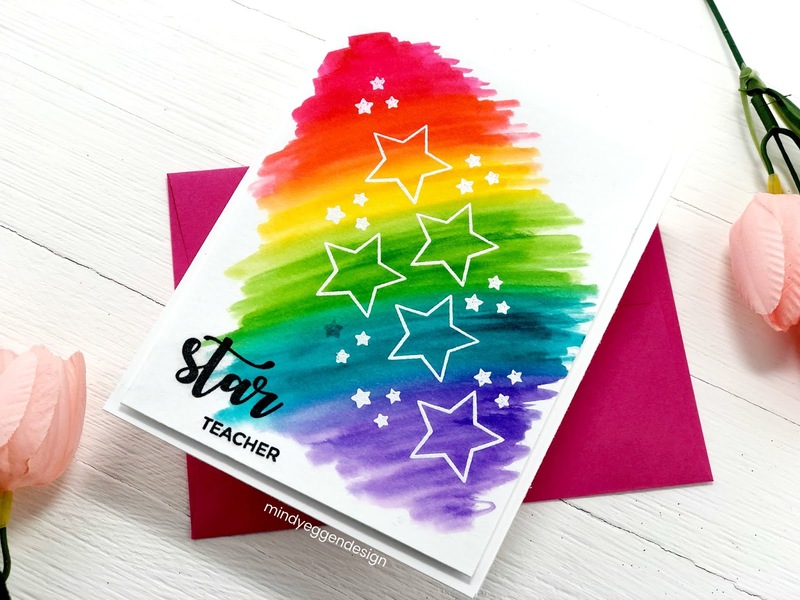 I love the rainbow stars – such a fun card! Such a fun and versatile card using your Zigs to create a rainbow and simple embossed sentiment. 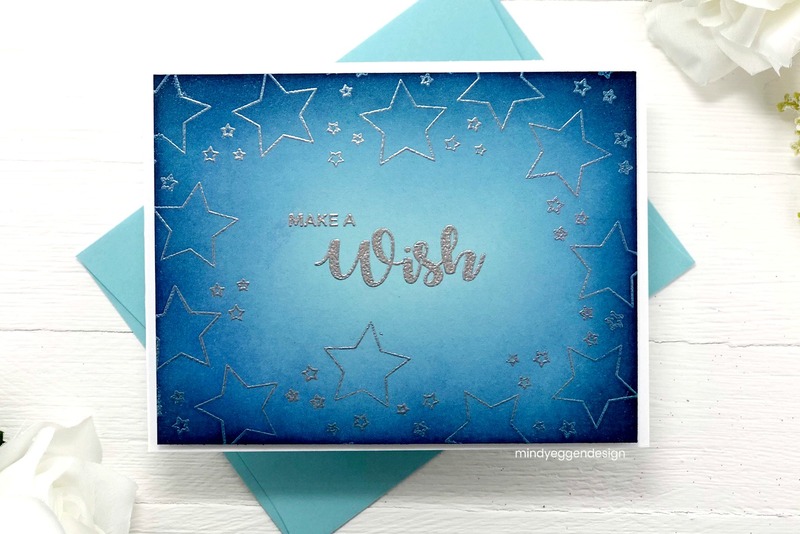 Your second card with the silver embossed stars and ink blending is just lovely. Fun hop! Wonderful cards! 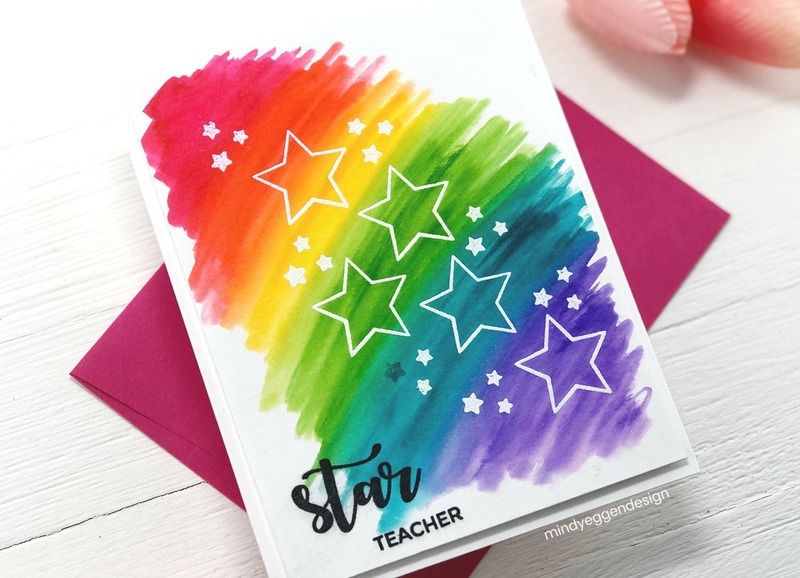 Your rainbow scribble is perfect with the stars and this sentiment and I love the lovely ink blending on your blue card! Thanks so much for sharing and inspiring! I absolutely LOVE the rainbow card and the blue one is so stunning! Thanks for the video. Both cards are beautiful but that rainbow/Zig card is so striking and fun! Thanks for sharing! Love your cards. The Zig background with the stars is stunning. 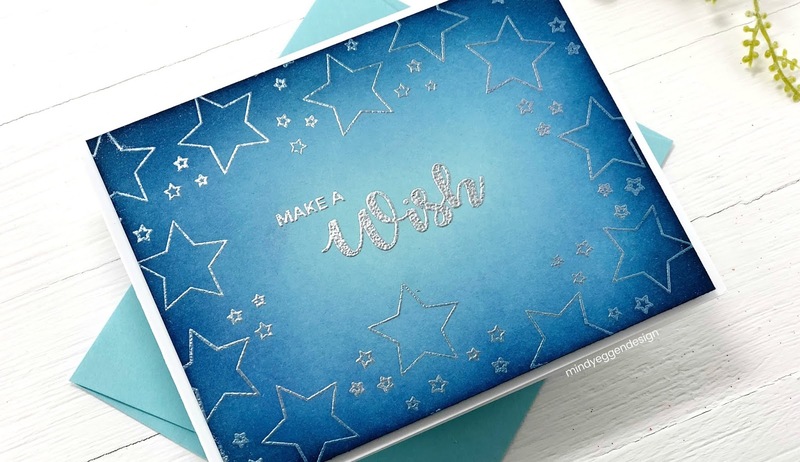 This All Star stamp set lends itself to sooo many wonderful cards and yours are just outstanding!